(Rs. Two hundred only) and some promis­sory note worth Rs. 4,000/- (Rs. four thousand only) The thief again came and was about to lift a big trunk in front of the cot which contained jewels worth about Rs. 10,000/- (Rs. ten thousand only). In the meanwhile Baba appeared in his dream and woke him up stating that thieves have lifted his belongings. His sister in-law also woke up and they cried out loudly as "Thieves", "Thieves”. Then all the servants and watchmen woke up and chased the thieves. However, the thieves have escaped leaving the big trunk. The next day the small trunk was found in a field nearby. 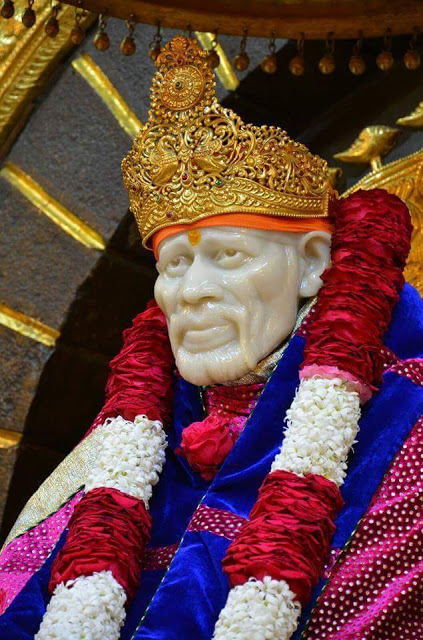 The thieves have taken away the cash and left the promissory notes-During that day night, he got a vision in his dream that Shri Sai Baba, Shri Abdul Baba and another Fakir with strong personality appeared before him. After some days, he visited Shirdi and took darshan of the same three persons of whom he has seen in his dream and he himself ascertained that the third Fakir was the Master of Shri Abdul Baba. After some days, one Shri Datta Brahmachari of Kopergaon has visited his house for meals and he told him that the lost properties will be available. Accordingly, Rs. 60/- and the other properties were seized and handed over to him by police. The police have stated that the amount was seized and han­ded over by them from a Marwari along with some other theft articles. This clearly shows that Sai Baba was not only, safeguarding the interest of His devotees but also their belongings. Surrender Shri Sai Completely Stupendous Delectation and Deliverance be There !